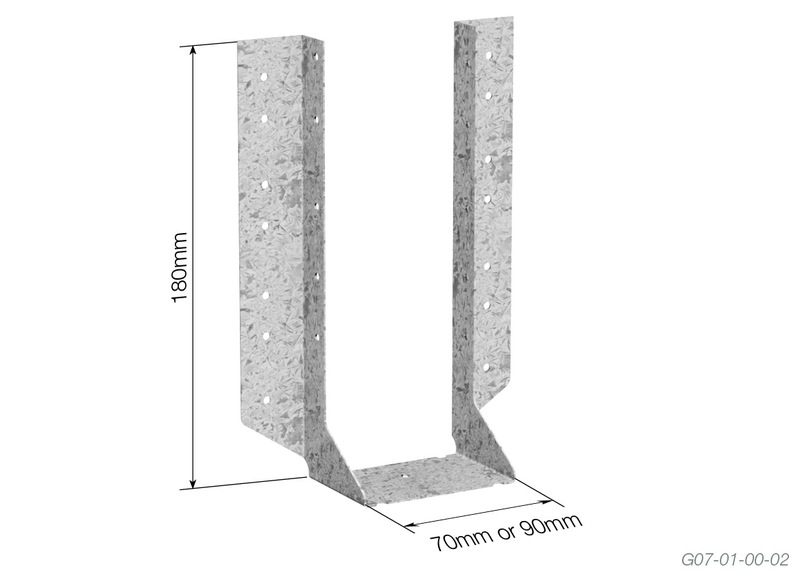 Pre-punched and formed galvanised steel connectors designed specifically to suit Multinail MultiStrut, SpanJoist and SteelWood Floor Joists! 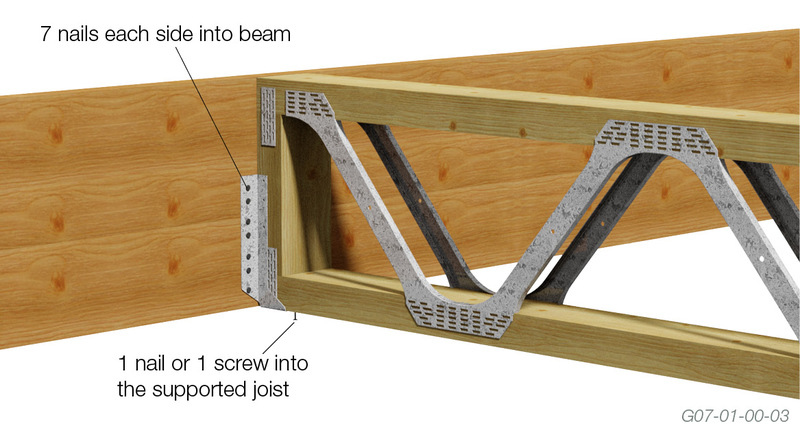 Designed to provide an effective method of fixing timber floor struts to beams where face fastening is required. Easy to install and provide a reliable fixing capacity. 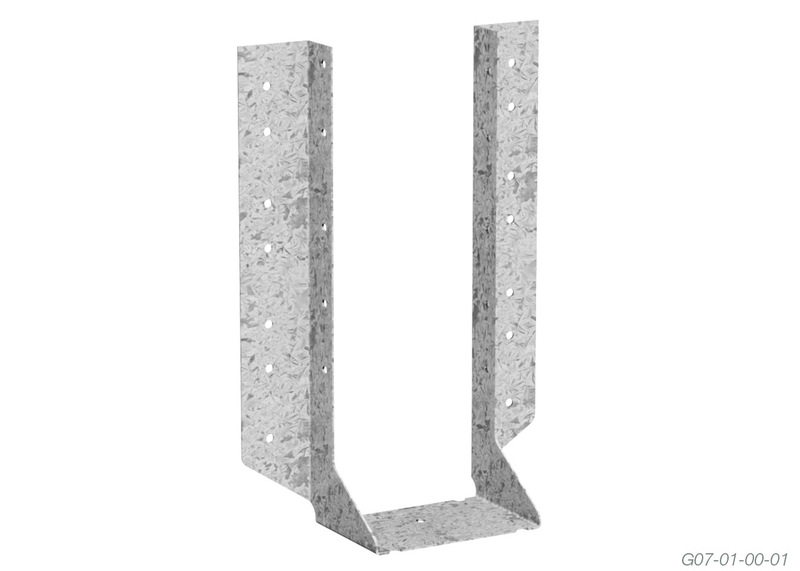 The Multinail Floor Hanger is designed to primarily suit Multinail MultiStruts, SpanJoist and SteelWood Floor Joists and to support large size timber beams. The application of Multinail Floor Hangers is simple. Position the MultiStrut, SpanJoist or SteelWood Joist hard against the supporting beam and secure the Floor Hanger to the beam using 7/30mm x 2.8Ø Multinail nails in each side into beam and 1/30mm x 2.8Ø Multinail nail or 1/30mm-No.6 Type 17 screw into the supported MultiStrut, SpanJoist or SteelWood Joist. The following table gives the recommended Limit State Design capacities for Multinail Floor Hangers.